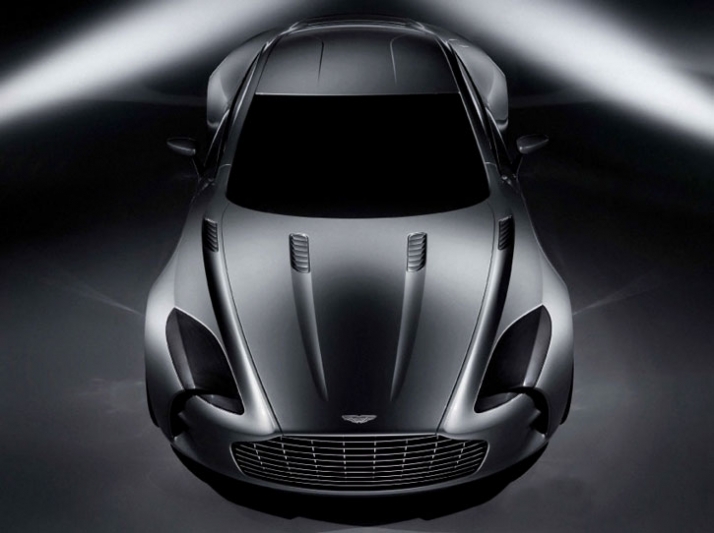 Aston Martin says this is no mere car, but ‘possibly the world’s most desirable automotive art form’. 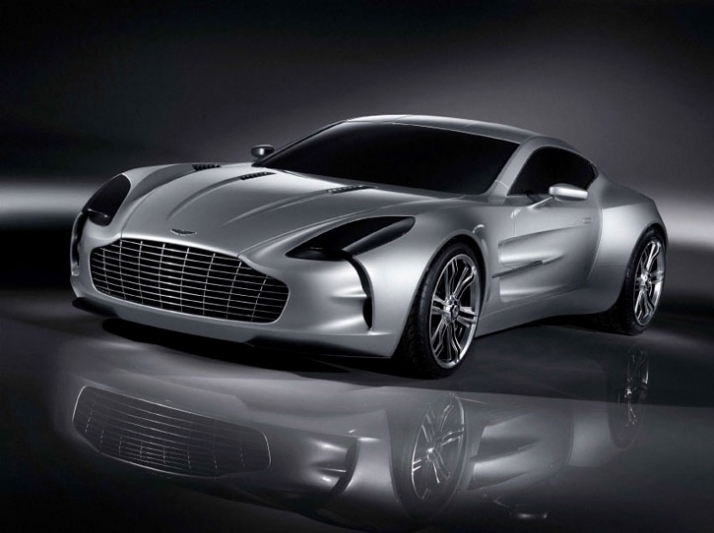 Marek Reichmann and his design team have sculpted the One-77 so that it is still instantly recognisably an Aston Martin, but with hints of a new design language.The short nose is expected to feature the traditional Aston grille, while the vented bonnet and heavily sculpted sides help dissipate heat from the enormous V12. 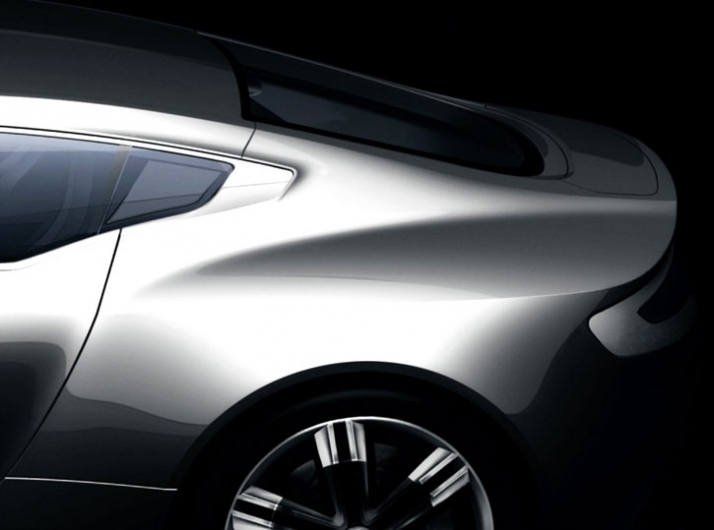 Aston’s silver door handles and familiar rear lights feature, while the rear haunches are voluptuous and the six-spoke wheels hide huge ceramic brakes. The significance of the One-77 name, which won’t be used for production cars, is that Aston intends to build no more than 77 cars. The exact number is believed to have been chosen because of CEO Ulrich Bez's belief in ‘lucky 7’. 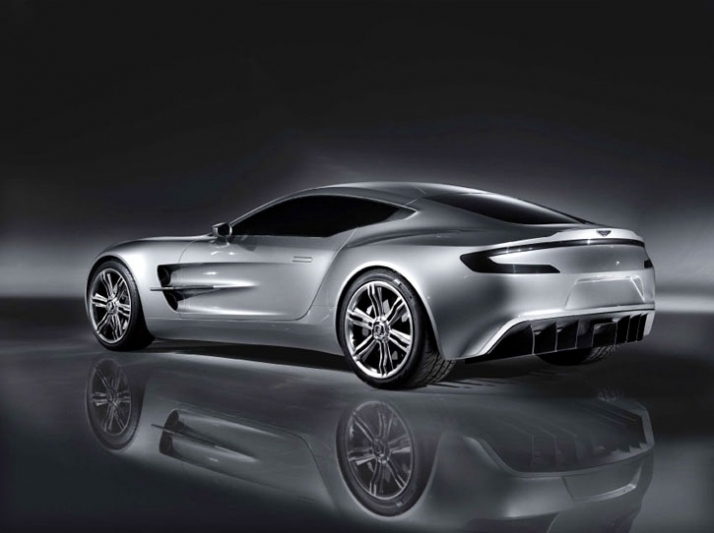 Car assembly is likely to be at Gaydon, though the V12 engine will come from Aston’s dedicated engine facility in Cologne. Faster than any current Aston Martin, or any future project, they say. With next year’s V12 Vantage RS expected to crack the 0-62mph sprint in four seconds dead, before charging onto 200mph, the One-77 will truly be supercar-quick. 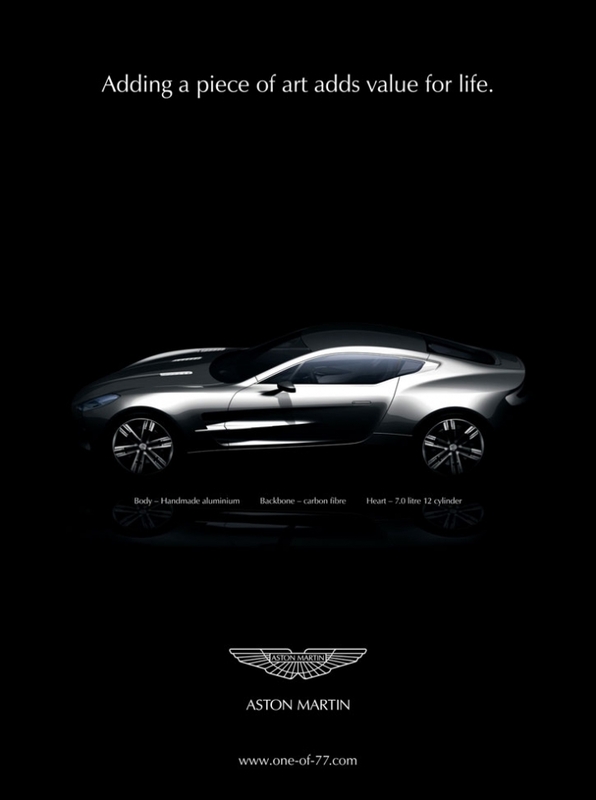 Aston politely call the expected performance ‘exhilarating’. Bez has said that he’s not planning to produce the world’s fastest supercar, but to present his new car as a direct expression of each owner’s true desires. That means talk of interior trim and paint colours is pretty banal. About the only thing fixed will be the mechanics of the One-77. See the rear three-quarter light in the C-pillar? Looks like there’s space for two small seats? Well that’s your choice – you could have some extra luggage space instead, or a mix of the two. The ultra-premium One-77 will land in the hands of a few very fortunate customers. Only six in the U.S. to be exact, with just five destined to stay in the UK out of the total production run of 77. That leaves 66 for the rest of the world, and just where they'll all end up is open to speculation, but expect a fair few to be destined for emerging luxury markets in Asia. The One-77 fuses advanced technology with stunning Aston Martin design to create possibly the world’s most desirable automotive art form. Based on a sophisticated carbon fibre chassis with a handcrafted aluminium body, this 7.3 litre V12 super car will deliver exhilarating performance. Bez has confirmed that power will come from an artfully-crafted derivative of the company's existing 6-liter V12, bored and stroked to 7 liters and producing somewhere in the neighborhood of 700 horsepower and 520 lb-ft of torque. All that power will have to move just 1500kg, lighter than the 1630kg V8 Vantage, the 1760kg DB9 and even the lightweight 1690kg DBS. Despite the One-77's imposing silhouette, at 4576mm it will actually measure 133mm shorter than the DB9, but 196mm longer than the compact Vantage, while at a stout 1223mm high and a lane-dominating 1900mm wide, the supercar will also be shorter and wider than either the Vantage or the DB9. Bez claims that an all-out performance battle with the Bugatti Veyron isn't the point of the One-77, but a top speed well in excess of 200 mph is all but guaranteed. According to a previously leaked sales doc, the drivetrain will feature dry-sump lubrication and a rear-mounted six-speed automated manual transmission. Other leaked details include both left and right-hand-drive availability, a carbon-fiber monocoque body structure with hand crafted aluminum panels and active aerodynamics. 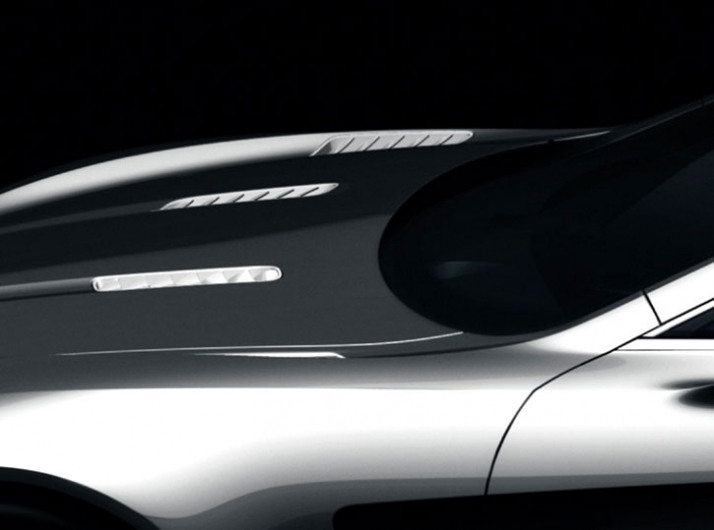 Aston wants to show the car to potential customers by the end of the year, with the potential for the first production cars to roll out of Gaydon by the end of 2009. 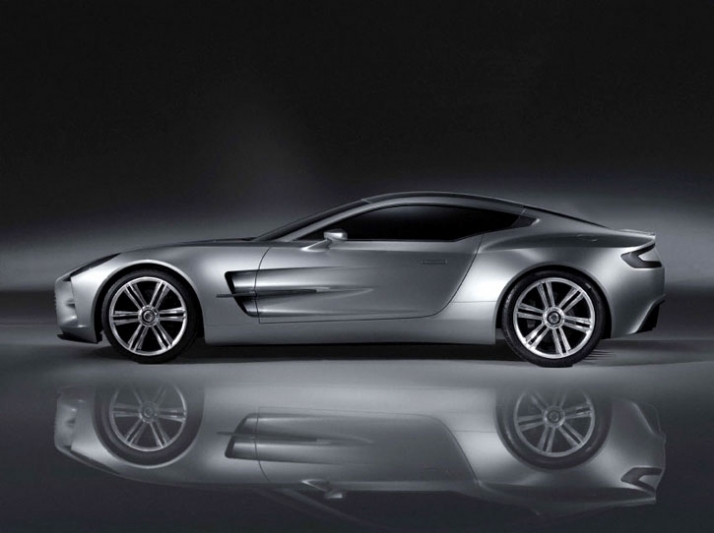 If you're looking to be one of the lucky (and rich) buyers of the Aston Martin One-77, you may already be too late. 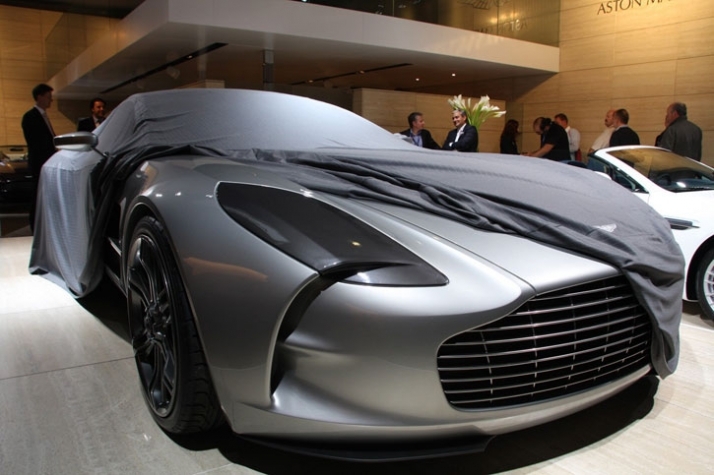 Aston claims that over 100 wealthy buyers have signed up for the One-77 supercar, though it plans to build only enough to satisfy the car's label: 77. Amazingly, those customers have dropped a £200,000 deposit without ever having so much as seen a totally uncovered photo of the British supercar. But hey, it's an Aston, so how ugly can it be? If you've got money to burn, we can think of few ways to better spend over £1 million on an automobile, especially considering that it's rare enough to actually increase in value over time.